Washington Redskins wide receiver Josh Doctson is expected to miss a couple days of practice as he nurses a left shoulder injury. "Josh is OK. Everything checked out fine," Redskins coach Jay Gruden said of Doctson, who was injured after colliding with cornerback Josh Norman during red-zone drills. [post_ads]Gruden said that the 25-year-old Doctson's absence due to an AC joint sprain will be short in what has been a productive offseason. "Good. Very good," Gruden said. "Done a lot of good things down the field ... Everything, he's been good." 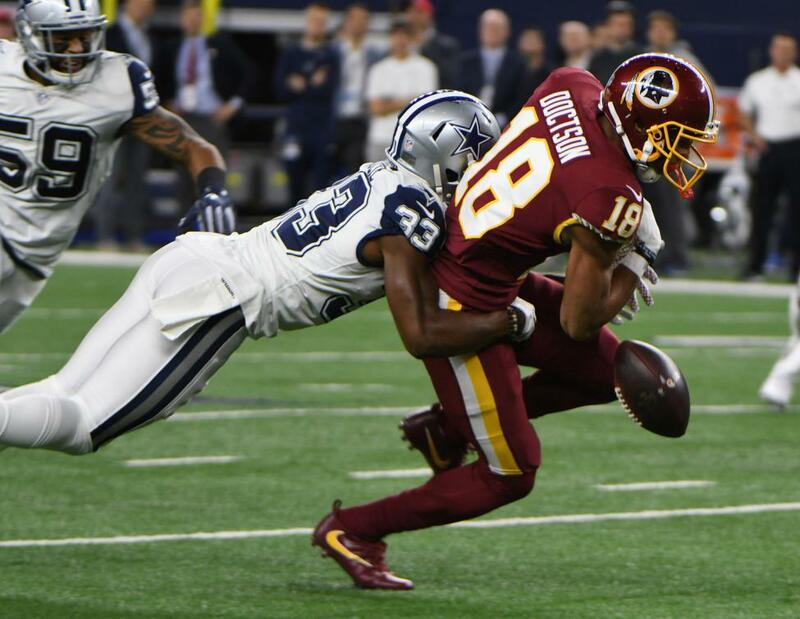 Selected with the 22nd overall pick of the 2016 NFL Draft, Doctson promised a "huge" season in 2018 after missing all but two games during his rookie campaign due to an Achilles injury. Doctson had 35 catches for 502 yards and six touchdowns in 16 games in 2017. The 6-foot-2, 202-pound Doctson does not have a 100-yard receiving game, nor has he caught more than four passes in a single contest.